On Friday, 3 October, the Dassault Aviation plant in Mérignac (France) delivered to the French defense procurement agency (DGA) the Rafale M10, the first of a tranche of ten retrofitted Rafale “Marine” (Navy) aircraft. These ten Rafale aircraft (M1 to M10) were produced from the late 1990s to replace the F-8 Crusaders aircraft that provided air defense for the French navy since 1964. As this replacement could not wait for the service entry of the versatile F2 and F3 standards, the ten Rafale Marine were provided with a so-called basic F1 standard, limited to superiority and air defense missions only. 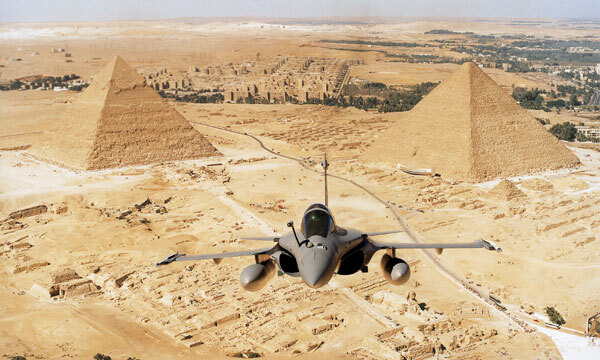 All the other French Navy (and Air Force) Rafale aircraft are currently built to the F3 standard. The aircraft that were produced to the F2 standard have been easily converted to the F3 standard. The transition from F1 to F3 is more complex and requires a specific program. 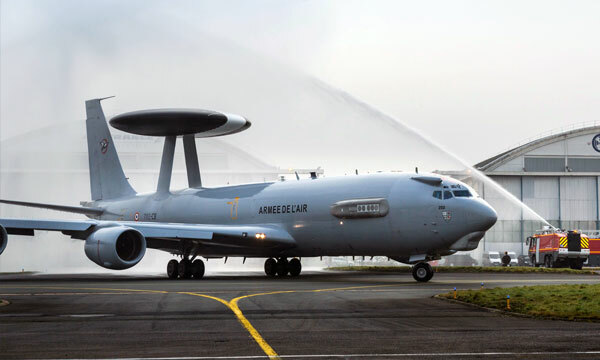 A retrofit contract was thus entered into in 2009 between Dassault Aviation, Thales, MBDA, Sagem, the French aerospace industrial department (SIAé) and the French Navy. Changes to the weapon store stations. The delivery of the retrofitted Rafale Marine aircraft will be staggered over a period up to 2017. Interception and air-to-air combat with 30mm gun and Mica IR/EM missiles (+ Meteor missiles from 2018 onwards). Ground support with 30mm gun, GBU-12/24 laser-guided bombs and Hammer precision-guided bombs. In depth strikes with Scalp cruise missiles. Sea strikes with the Exocet AM39 Block 2 missile and other air-to-surface weapons. Real-time strategic and tactical reconnaissance with the Areos pod. 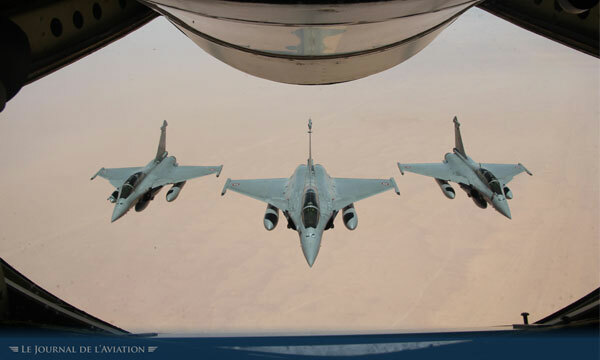 In-flight refueling from one Rafale to another (“buddy-buddy”). Nuclear deterrence with the ASMP-A missile. 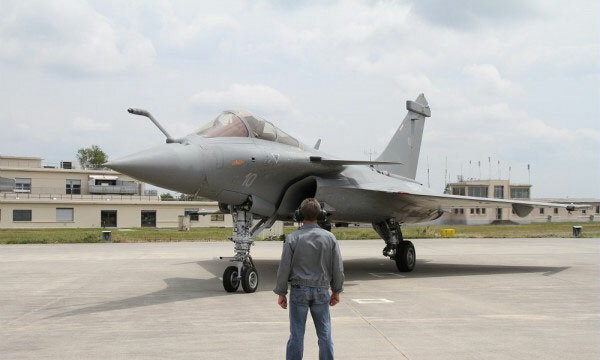 Of the 180 Rafale aircraft ordered by France to date, 133 have been delivered. 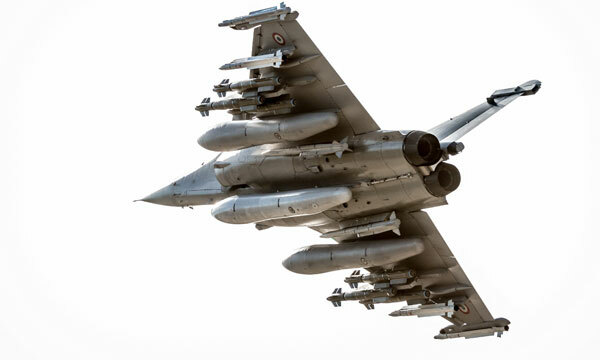 As an optimization and a rationalization factor of the French forces, the Rafale was designed to gradually replace seven types of previous-generation combat aircraft. According to the White Paper on Defense and National Security (2013), there will be eventually 225 combat aircraft in the French Navy and French Air Force, compared with almost 700 in the 90s. The Rafale fleet has now flown a total of 120,000 flight hours, 16,000 of which during operations. Since mid-2013, series-production Rafale have been provided with the Thales RBE2 AESA active-antenna radar. Since its service entry, the Rafale has been used in all theatres of operations: Afghanistan, Libya, Mali, Central Africa and Iraq.